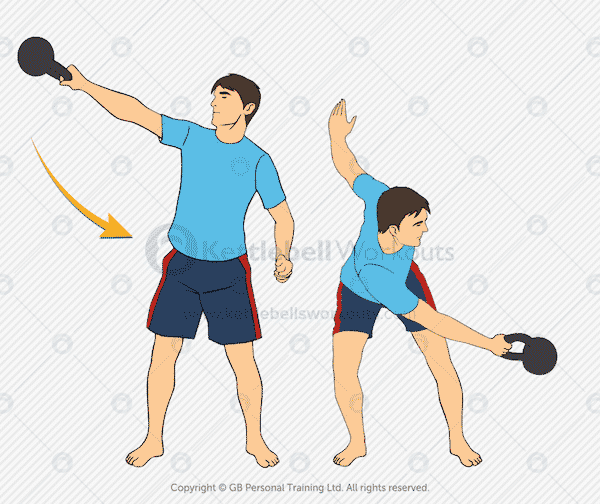 There are lots of different kettlebell exercises that you can perform, some are more challenging than others. You will find that there is a natural progression when it comes to training with certain kettlebell exercises so it is important to start at the beginning. If you decide to jump to the more advanced kettlebell exercises without building up your fundamental skills first then your technique will suffer and there is a high chance of injury. 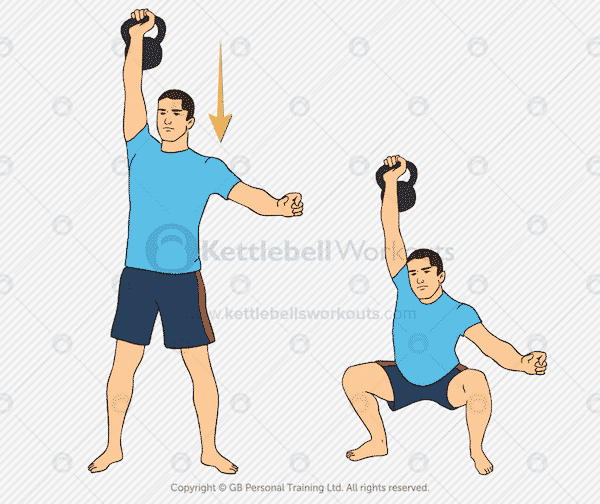 Summary: Great warm up exercise that helps to acclimatise you to the kettlebell. Also a good exercise to use as active recovery rather than resting between exercises. 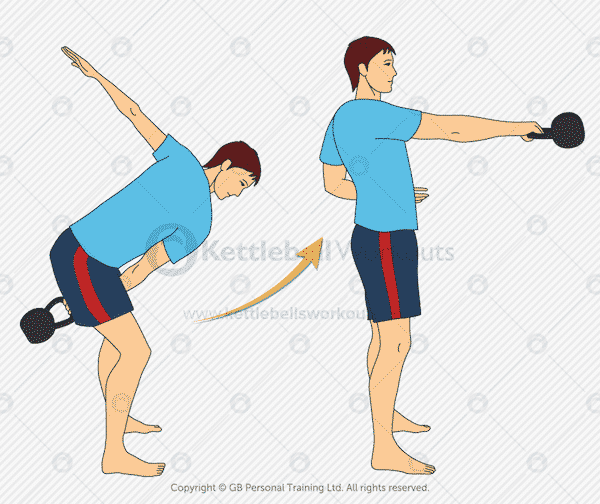 Summary: Warm up your shoulder girdle, improve your shoulder mobility and strengthen your shoulders with this exercise. 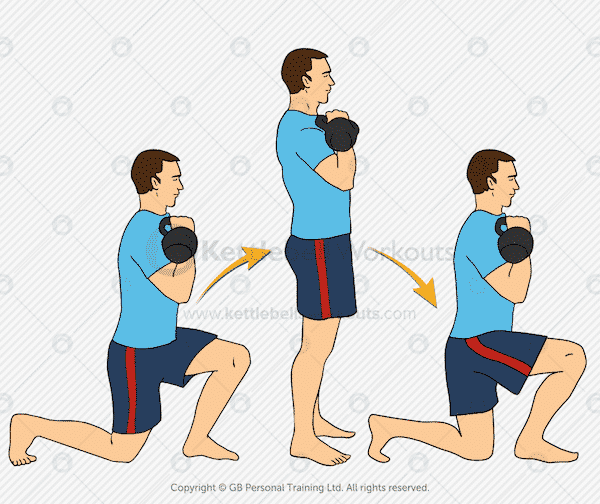 Summary: Loosen up and strengthen your hamstrings with this kettlebell exercise. Be careful not to arch your lower back during this movement. 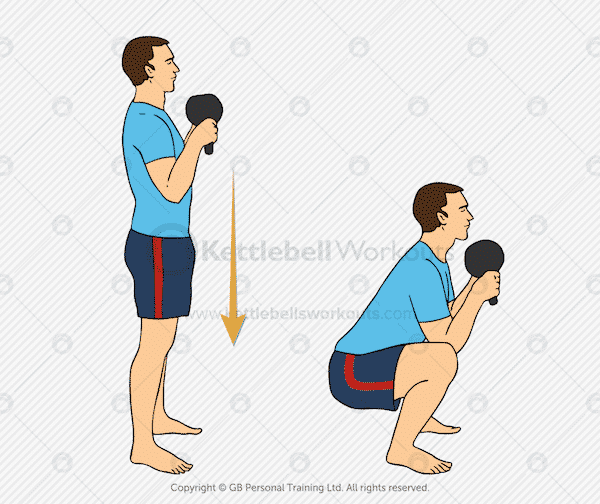 Summary: Fundamental kettlebell exercise that strengthens most muscles in the body but in particular the Glutes, Hamstrings and Quads. 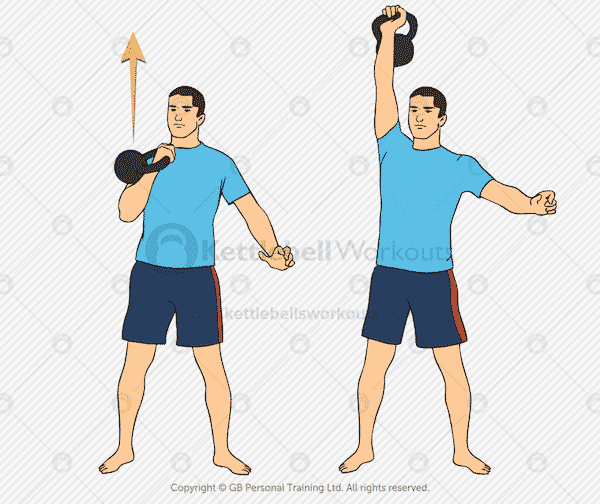 An excellent starter exercise to practice before moving onto the kettlebell swing. 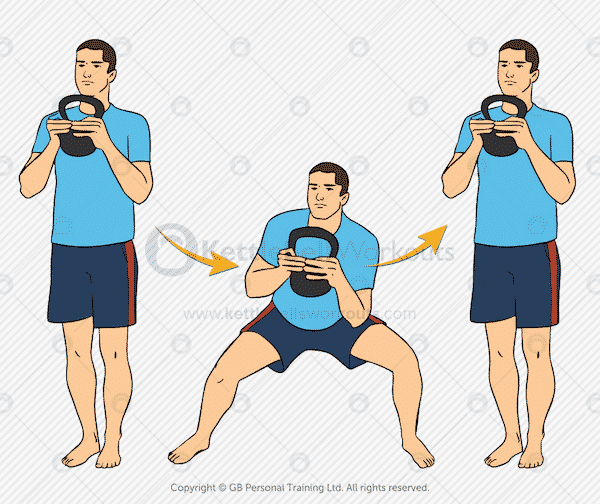 Summary: A tricky exercise that will help to balance out the left and right side of your body. Excellent for working on your core muscles that connect your opposite shoulder to opposite hip. 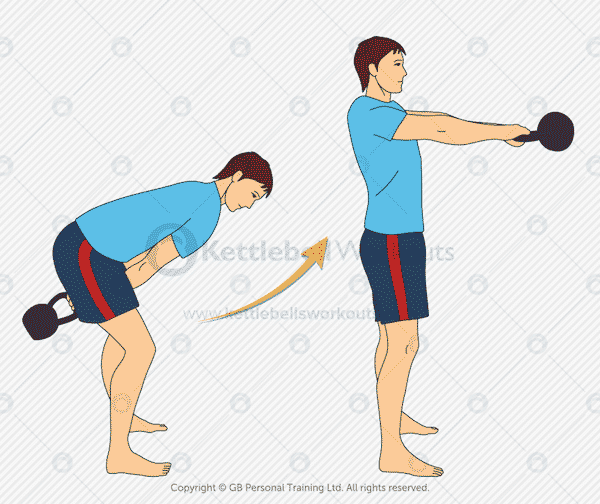 Summary: The king of all kettlebell exercises. Works almost every muscle in your body without you having to even move your feet. Summary: Slightly more challenging for your core muscles and shoulder stability than the two handed swing. Tougher on your grip strength too! 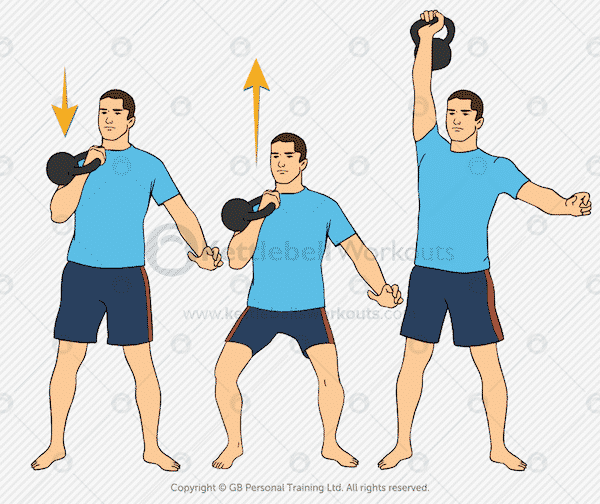 Summary: Keep the kettlebell moving from one hand to the other as you swing. Easier for your grip than the continuous one handed swing. 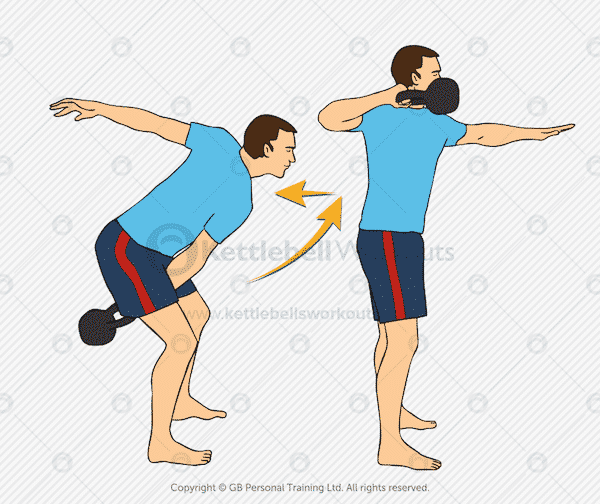 Summary: One of the most important kettlebell exercises. Challenge your core and mobility as you stand up and lie back down again, all while holding the kettlebell. Summary: Rather than starting from the ground you begin standing up with this version of the Turkish Get Up. 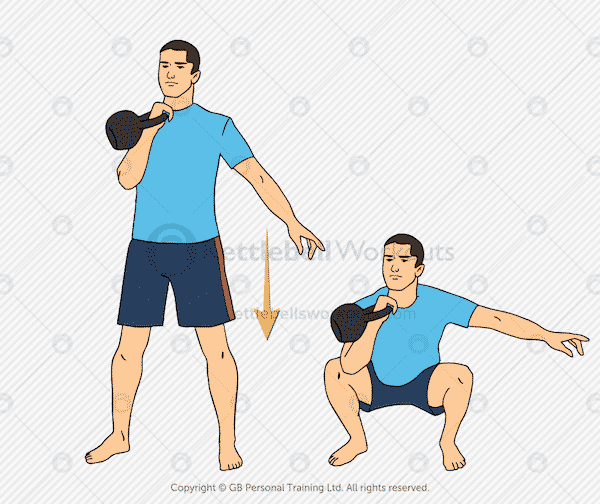 Summary: Holding the Kettlebell upside down you perform a regular squat. 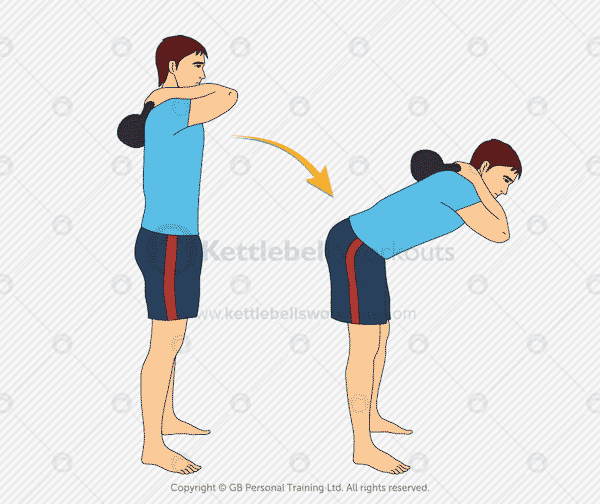 Brilliant kettlebell exercise that should not be avoided. 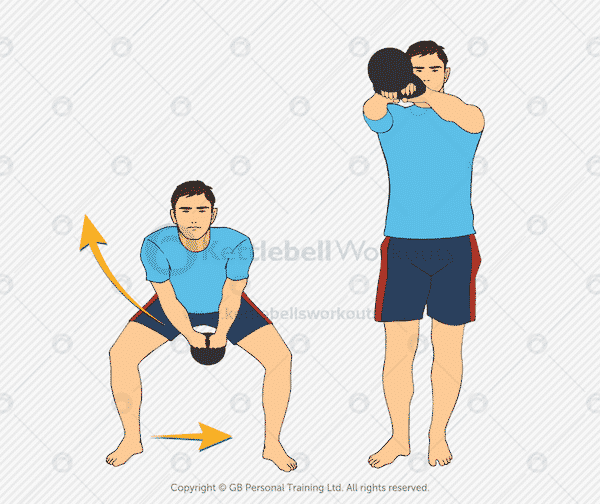 Summary: The same as a regular squat but holding the kettlebell with just one hand in the racked position. Summary: Fundamental exercise for your Buttocks that will also help improve your mobility too. 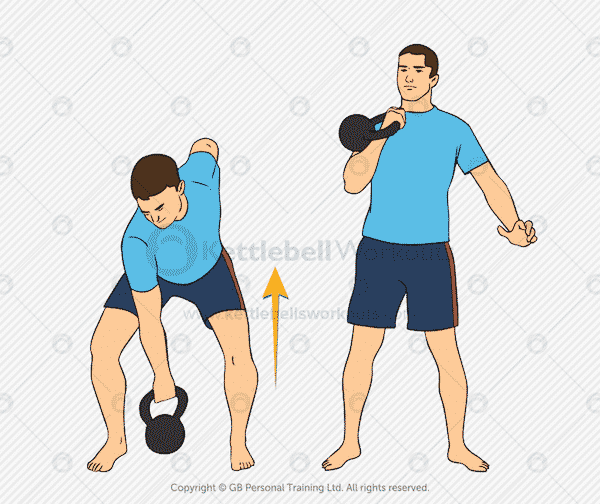 Summary: Works into the back of the upper body and is also challenging for the core muscles due to the rotational forces caused by the kettlebell. Summary: A row performed at the side of the body. This row variation also focuses into the back of the shoulder. 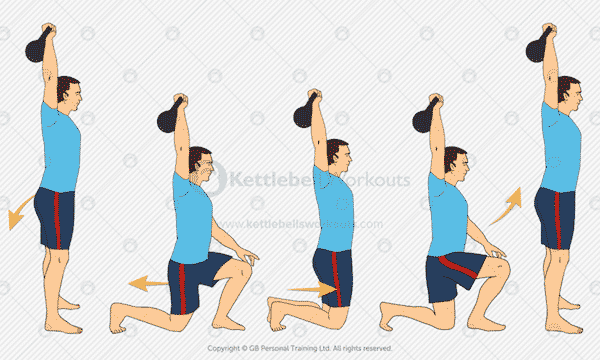 Summary: Improve your shoulder and hip mobility with this kettlebell exercise. Great for strengthening your core muscles too! Summary: Great way to improve your shoulder stability before you begin overhead pressing exercises. 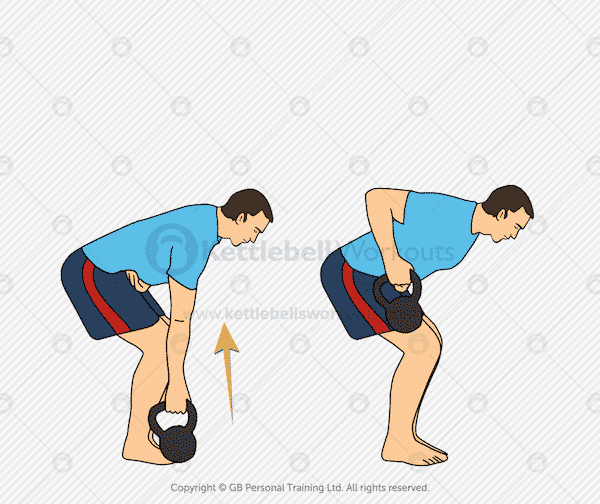 Summary: The clean takes the kettlebell from the floor to the racked position in one smooth movement. When performed correctly this movement uses most muscles in the body. Summary: Improve your Clean technique and strengthen your wrists and core muscles with this exercise variation. Great as a warm up movement too! 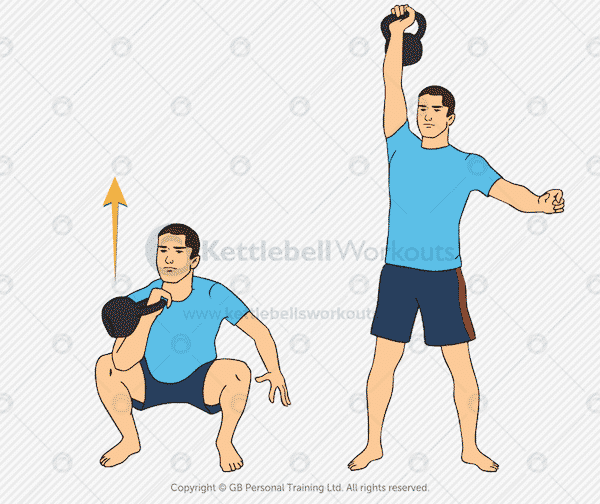 Summary: Fast and dynamic this kettlebell exercise will elevate your heart rate quicker than almost all other exercises. Summary: Develop strength and flexibility with this lateral movement. Can be a very cardiovascular exercise too. 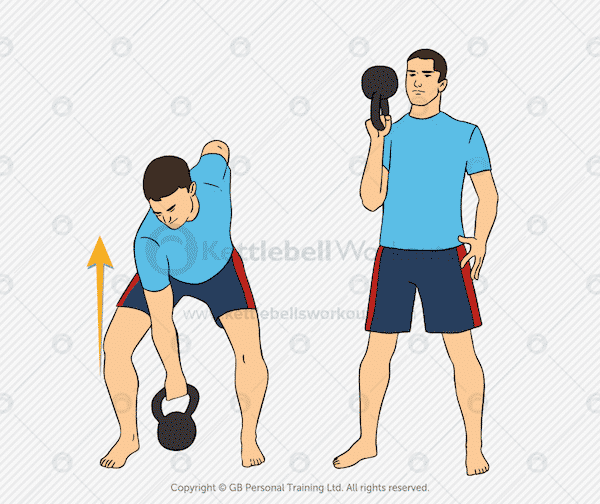 Summary: Tough strength based kettlebell exercise that will also improve your hip flexibility. Be careful to warm up well before going to deep with this movement. Summary: Excellent for improving your mobility and challenging your stability as you add a twist into the regular lunge. Summary: Tough version of the lunge that really overloads the movement pattern. This exercise seriously raises your heart rate too. Summary: Focus more on your shoulders by pressing from a double kneeling position. Great exercise for beginners. 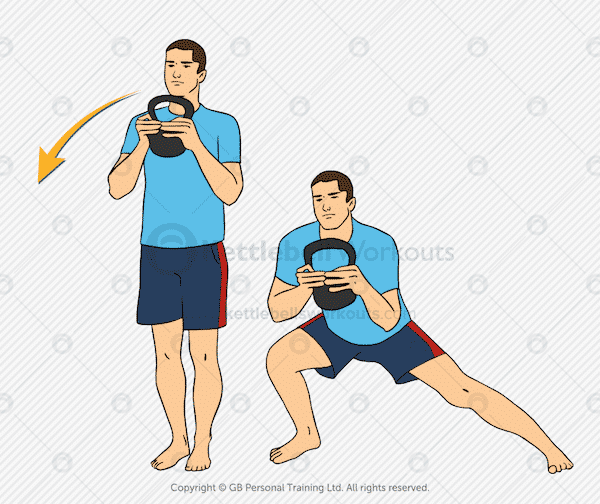 Summary: Challenge your core and Glute activation by pressing a kettlebell overhead while in the half kneeling position. 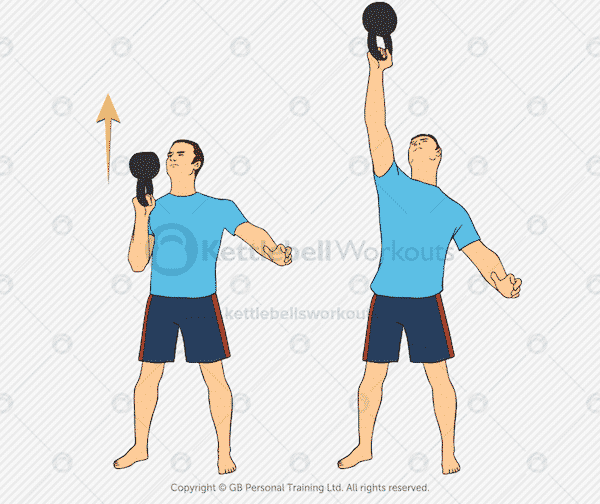 Summary: Brilliant kettlebell exercise for developing brute strength in the shoulder muscles. Keep your whole body tight for additional muscle activation. 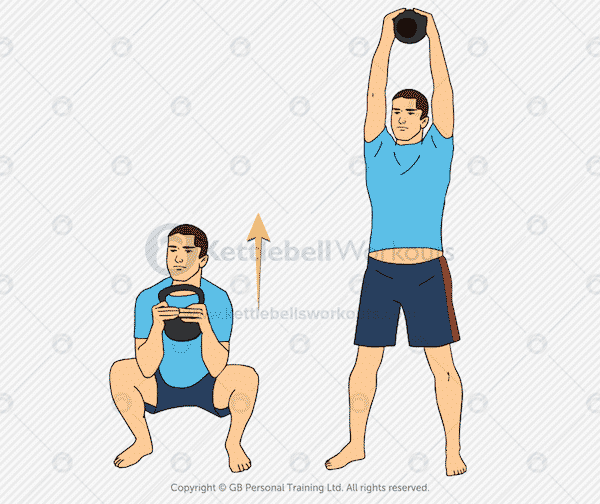 Summary: Help get the kettlebell out of the most difficult pressing position by using a push press. The push press is an excellent way to work on a heavy weight or continue to press when the shoulders get tired. 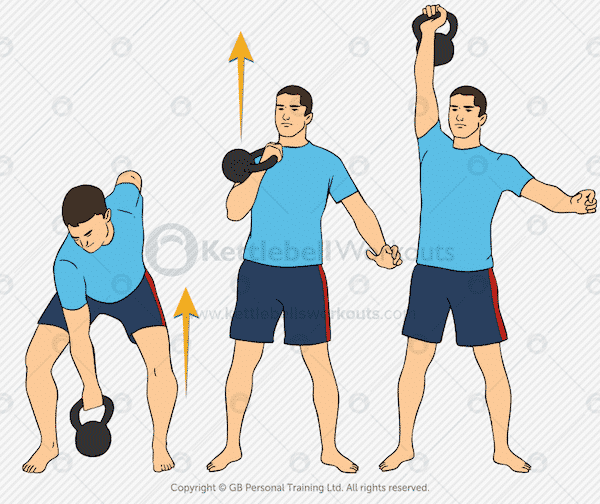 Summary: Putting two of the big exercises together you achieve a movement that takes the kettlebell from the floor to the top of the press. Very challenging, full body exercise. 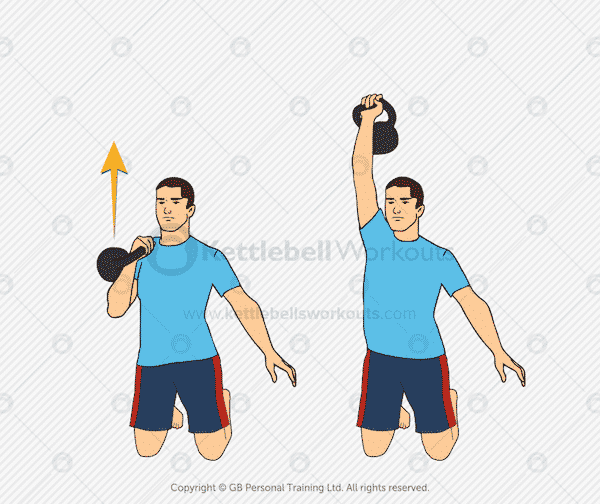 Summary: If you struggle with the overhead press then you can make it slightly easier by adding a push into the movement to take the kettlebell out of the sticking point. Summary: Very cardiovascular exercise that works most muscles of the body. A great progression after the Kettlebell Squat. Summary: Challenging exercise that will condition the body from head to toe as well as your heart and lunges. 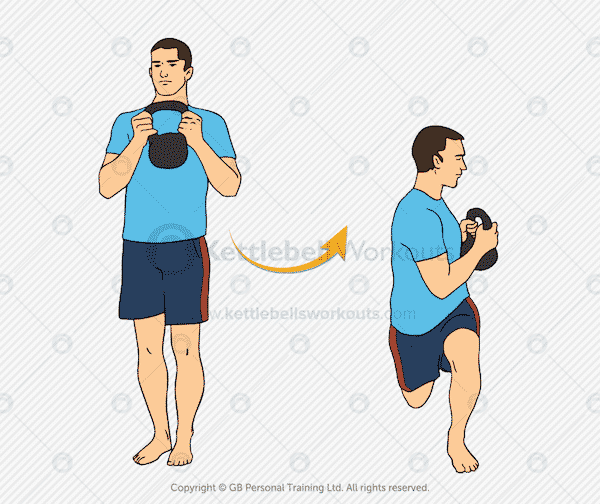 Summary: During this kettlebell exercise your feet never move but you do overload the one side of your body. Great for improving your balance and stability too. Summary: More difficult variation of the lunge that works the upper body as well as the lower body. Get your heart and lungs ready for this one. Summary: Tough combination of moves that uses a double hip bend making the movement very demanding. Can take a little practice to remember the sequence of moves. 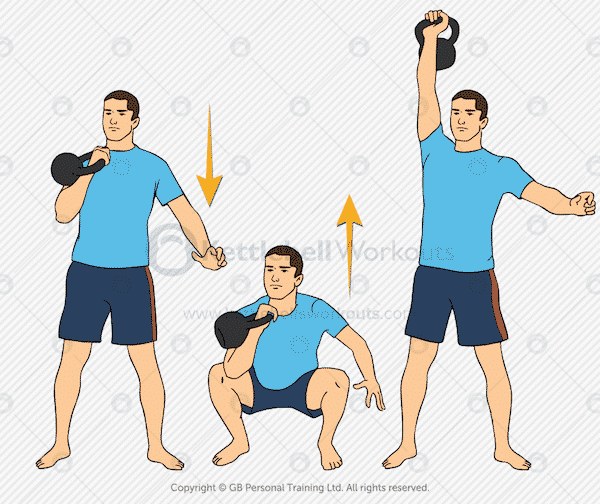 Summary: Challenge your core muscles and shoulder stability as you perform the lunge while holding the kettlebell overhead. Make sure you always keep your arm locked for this exercise. Summary: Even more difficult than the variation above. The walking movement places even further demands on your core and shoulder stability. 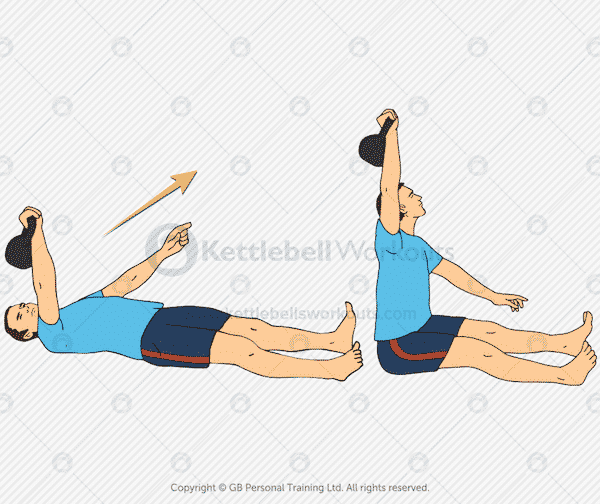 Summary: Good shoulder exercise as well as developing your core and hip mobility. Ensure you come down nice and slowly after sitting up. Summary: Take the swing to a whole new level as your drive the kettlebell overhead using almost every muscle in your body. 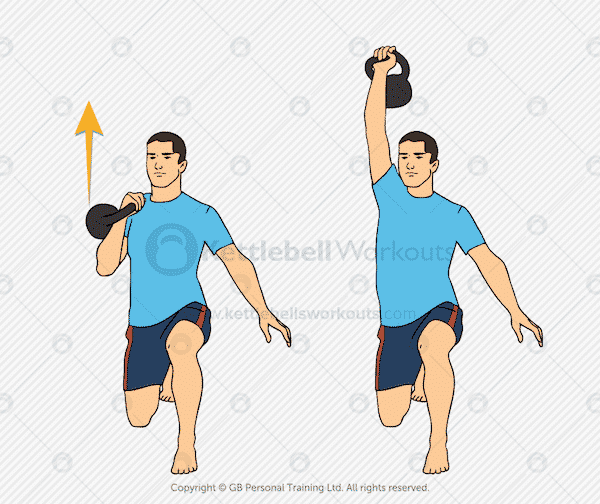 Requires good timing and a high level of kettlebell skill to master this exercise. Summary: Massive core exercise that also working into the back of the body too. Before even attempting this exercise you should be able to perform a good solid plank for at least 60 seconds. 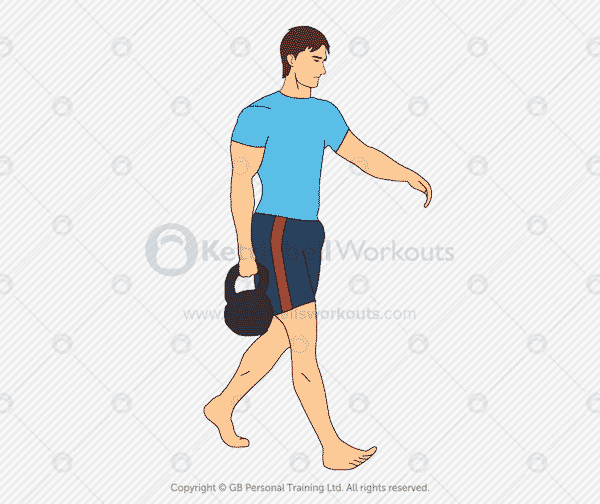 Summary: Start moving your feet as you swing to add another dimension to this classic kettlebell exercise. Requires good timing and the ability to swing well to perform this exercise safely. Summary: Great core and grip strength as well as body alignment is needed to press the kettlebell overhead while in the upside down position. 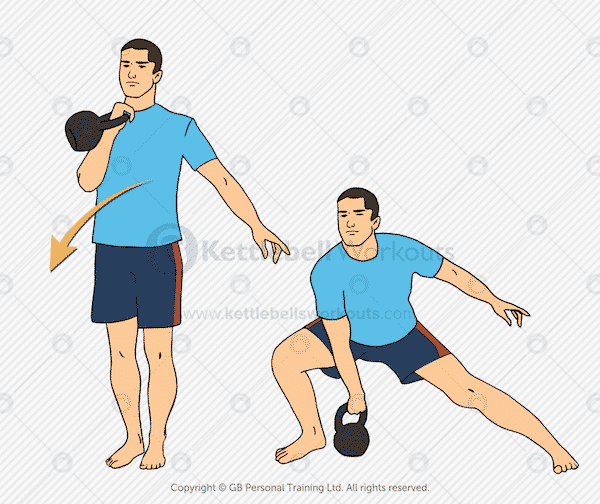 Summary: A very practical kettlebell exercise that works hard into the core muscles as the body tries to maintain upright alignment. Challenging on your grip strength. Summary: The ultimate leg exercise that will challenge your strength, flexibility and balance. One of my personal favourites! 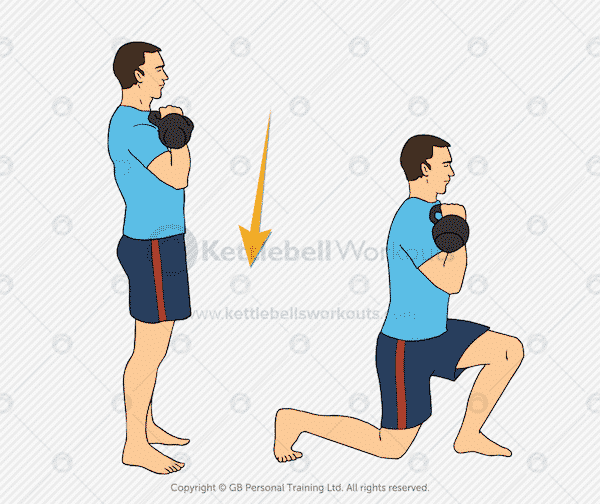 Summary: Challenge the lunge movement pattern by passing the kettlebell between your legs during each step. Make sure you keep your core engaged and back flat throughout the movement. 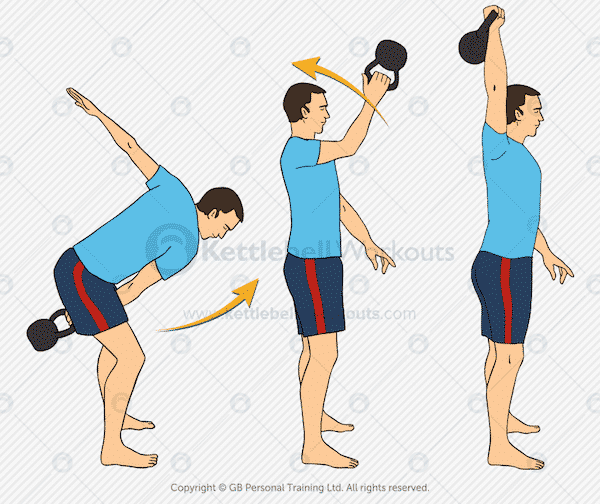 Summary: Tough kettlebell exercise that requires good shoulder and hip mobility as well as shoulder stability. Become great at the regular Squat and Press before taking on this exercise. Summary: Big core exercise that requires good shoulder stability too. 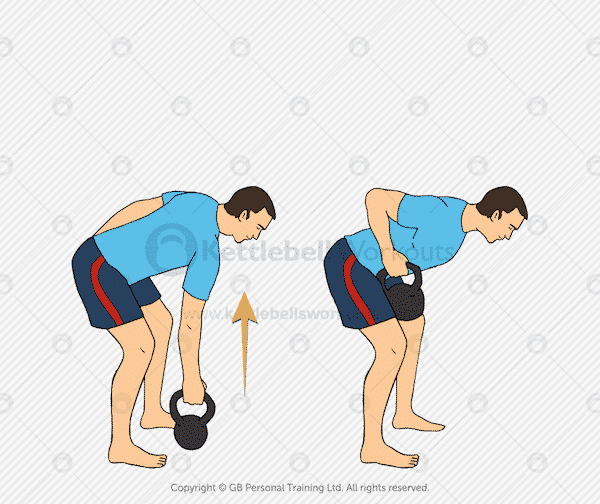 You can make the exercise easier by using the weight of the kettlebell to help pull you up. Summary: A personal favorite of mine. You will need excellent hip mobility to enable you to get your hips underneath you on the way up from the bottom position. Summary: Great for challenging your balance but more importantly your core strength as you clean the kettlebell standing on only one leg. 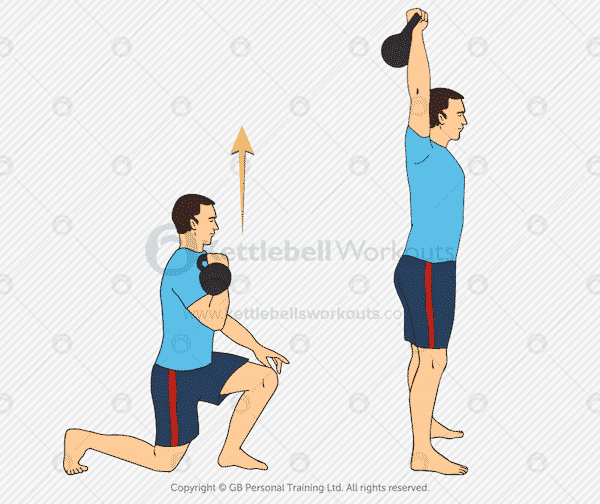 Summary: Funky kettlebell exercise that takes some getting used to. Once mastered it targets practically every muscle including your heart. 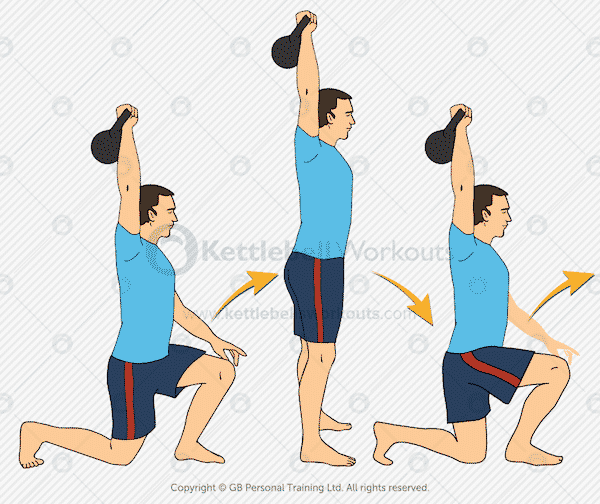 Summary: A core intensive kettlebell exercise that will help to mobilise the upper back and thoracic spine at the same time. Perform slowly with control. 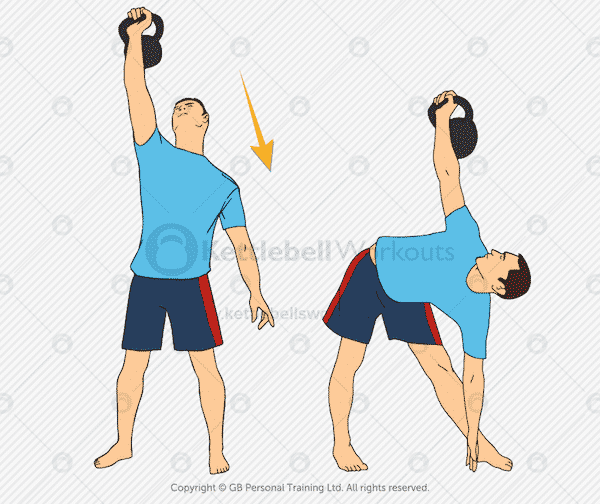 Summary: Very advanced kettlebell exercise that takes the swing to a new rotational level. 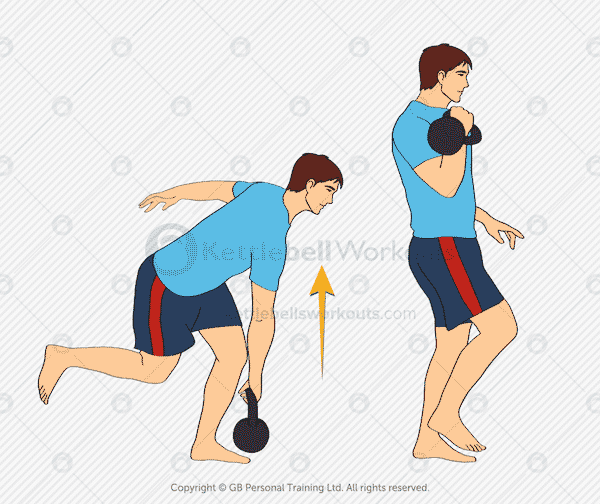 Be super careful of your front knee as the kettlebell comes across your body. Fabulous instruction. Thank you. Impressive pistol squat too! Hi Greg, thank you for your great advice. Just did my first set of clean and press today after watching your video. Love working out in my living room. I’m trying to do KB work outs 3 x a week. I would say I’m average fitness, and try to do walking/cycling/swimming twice or more/week as well. My KB workouts only last 10 – 15 minutes (not including warm up and cool down). It is so exhausting I don’t think I can do any more. Does that seem long enough? I see KB classes lasting half an hour to an hour and don’t know how they do that. 2) I eat a healthy, balanced diet. Do you think it is important to eat extra protein on top of that? Sounds like you have started off well Marc, the more intense your workout the less time you will be able to exercise so 10 – 20 minutes is about the right intensity. Stick with the 16kg until everything becomes easier, increasing the weight will not necessarily mean more results it usually means more potential for injury. No need for extra protein unless you are a vegetarian or don’t eat quality foods, I’ve got more nutritional info here. Need a overview exercise to work on Love Handles, Abs and Chest part (Combination of all the Three), if possible. I prefer doing KB swing and holding the Kb and short jumping on the same spot to work on my overall body. Kindly reply. For fat loss of those particular areas I recommend cleaning up your diet, especially reducing sugar and all foods made from flour. If you drink alcohol that will also add fat quickly. 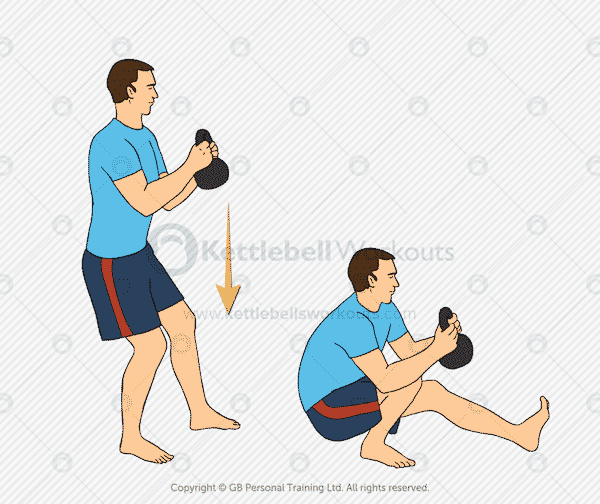 Working on sets of 10 kettlebell swings followed by 20 – 30 seconds of rest will also help increase your metabolism. I’m 70 years old and started rowing on a Concept 2 rower around March 1. It has provided me with good results as I have lost around 40 pounds since then. However, I have read that it is good to “confuse” your muscles with different exercises, so I purchased a 25 lb. kettlebell and started doing your beginner courses – which, by the way, I find very challenging. I have some questions: what is the best way to integrate rowing workouts with kettle bell workouts? Is better to do both (short workouts) on the same day and if so, which one do I do first? Or do I do kettlebells one day and rowing the next? Hello Lou, yes adding variety to your workouts is always a more natural and beneficial way to progress. You have 2 choices: exercise on the same day, kettlebells first and a gentle row afterwards or exercise on different days, take 2-4 days off each week. You will have to feel your way through a weekly routine by listening to your body, don’t overdo it, start off easy and add more if you need to. I would be interested in your thoughts about what exercises would be most useful to improve posture, particularly for people who sit and stare at a computer screen all day. Great question Linda, I’ll be writing an article about this very soon but in the meantime focus on pulling exercises: rows, swings, and high pulls. Ultimately, desk work causes the back muscles to lengthen and weaken and the chest muscles to shorten and tighten. So a program of stretching and mobilising the chest followed by strengthening exercises for the back is what’s required. Good thoracic mobility is also needed by most people. 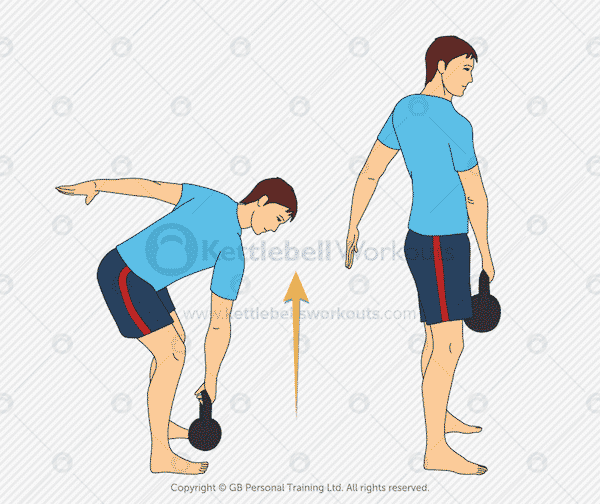 Hello Linda, I’ve recently added an article on kettlebell exercises to improve your posture, especially for upper and lower crossed syndrome. 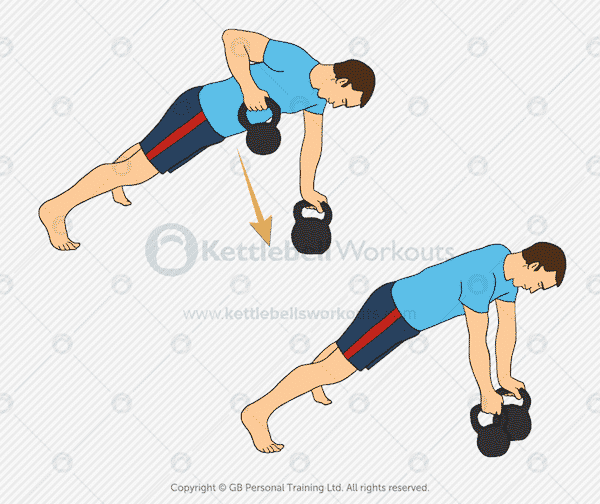 I love the kettle bell and was wondering if there’s any to do specifically for the obliques? 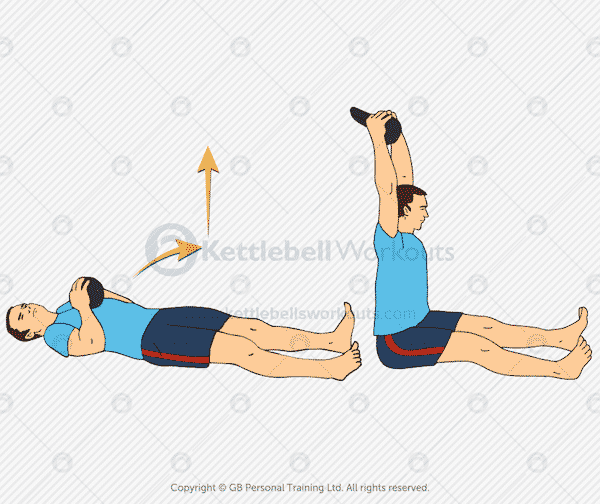 Many kettlebell exercises work into the obliques including the all important: one handed kettlebell swing. 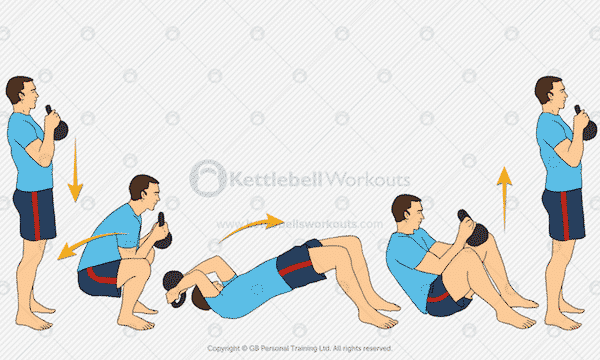 I’ve listed more here in the 7 Best Kettlebell Exercises for Abs. Thank you for all those wonderful demo tutorials, very useful. My question is about programming these exercises. May you give me some different types of KB workouts you may use for the more advanced. E.g. KB Complex, KB Flow Circuit, KB Ladder etc. 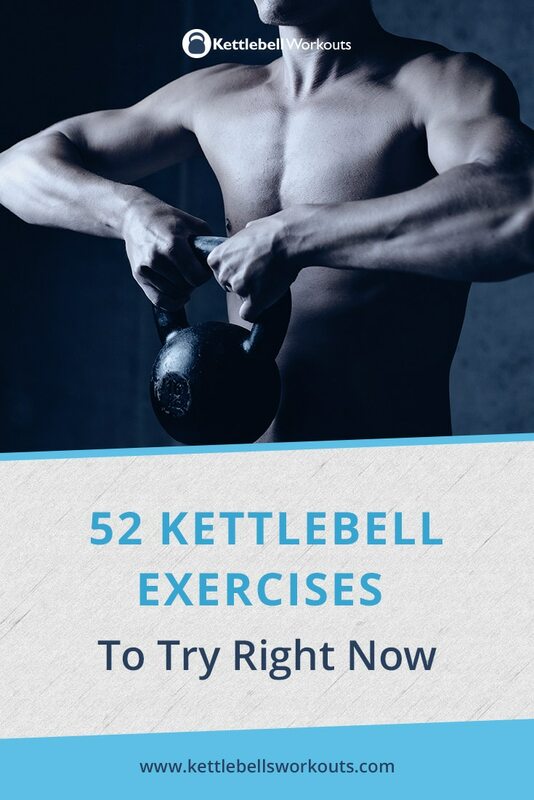 Thanks Natalie, have you seen these 25 kettlebell workouts they may help you. I’m so glad to have found your post! 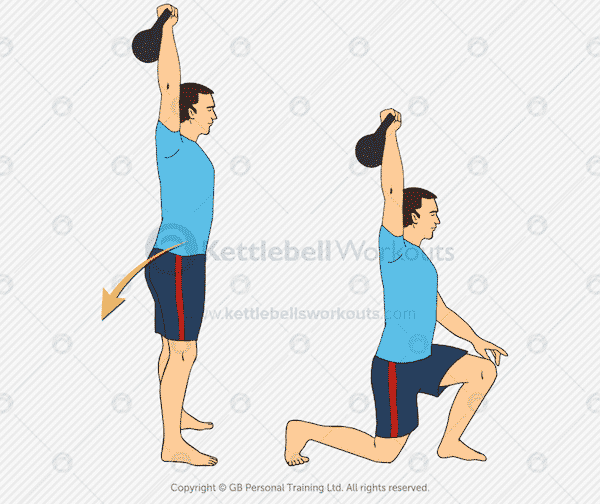 I’m new to working out and kettleballs. Having all these exercises in one location and the great demo videos will be great for when my kettleball arrives. Thanks! Thank you for sharing Greg . I will pay It forward. 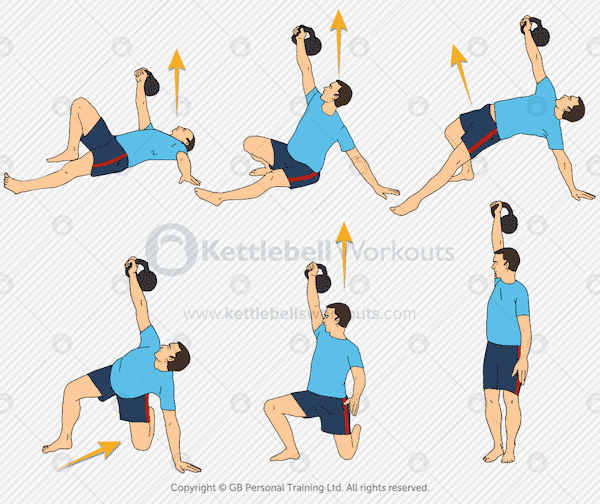 Great variety of exercises using the kettlebell. The videos are simple and easy to follow. I plan on using many of these in my KB class. A great compendium of kettlebell exercises, some of which i’ve never seen before ,great work. 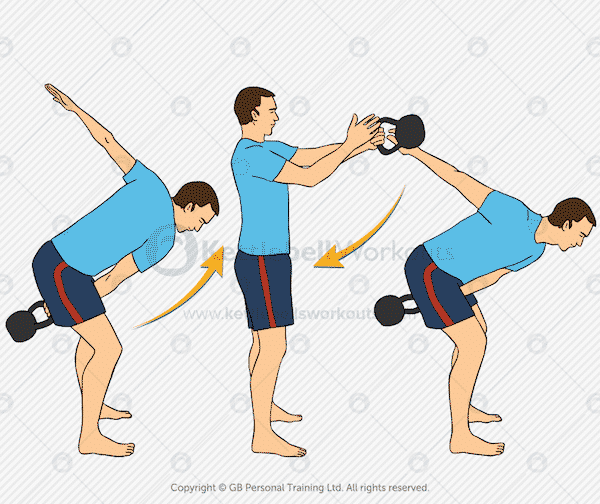 I whould have used a heavier bell for the demonstrarion , however , because exercises performed with such a lightweight ball are somewhat different than those performed using a bell which is 40% of your bodyweight (you have to adjust your movements to stay balanced.). Will you ever realize a video with paired kettlebell ( one each hand ) exercises? 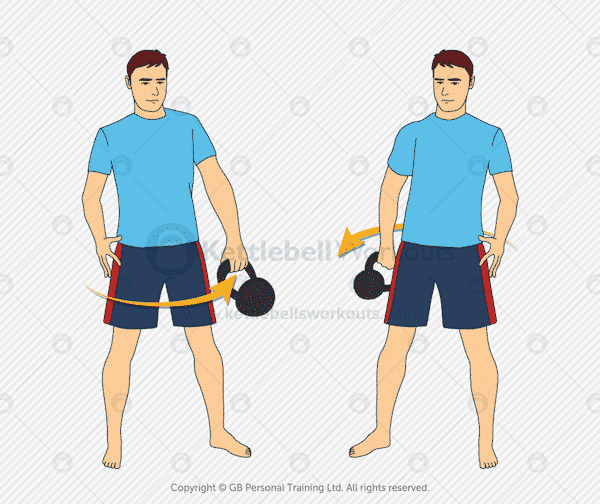 Hi, Greg, I noticed that you are performing your exercises with your right hand, presumably because you are right-handed. Do you recommend repeating the same exercises using your left hand/arm also ? Or is doing them right-handed only sufficient ? Thank you kindly. Hi Dorothy, Yes definitely perform them on both sides. One little trick is to always use your weakest side first and then match it on the other side that way your strength always stays balanced. Greg, few months ago I started the Turkish get up thanks to your excellent tips and recommendations. Now I feel strong and flexible enough for starting some new games listed above. You’re the man of the year for my health. Keep staying positive, smiling and being such great model. We then follow the path and sharing your precious golden knowledges. Have an excellent weekend Greg!!! 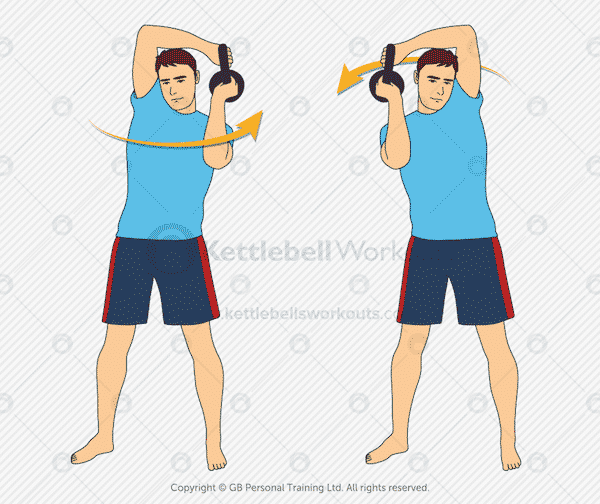 Hi Jesse, the whole ethos of my training using kettlebells is that they are full body movements and so you are not targeting one particular muscle group but rather movement patterns. If you really want to target your chest then Push Ups are the way to go. i know you should adjust the weight to your possibilities strength and level of fitness . I just wondered what is the weight of the kettlebell you are using on the videos ? Yes Michal it always varies depending on the individual and the exercise. I think I was demonstrating the kettlebell exercises with a 16kg. 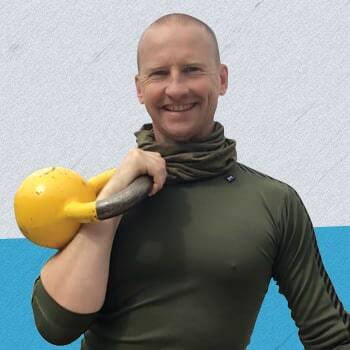 I teach kettlebells and picked up some really cool exercises to add to my classes that I know they will love (and hate in a good way!). The kettlebell arm bar will be great for Brazilian Jiu Jitsu conditioning too. Thanks for sharing these! HI Greg. Thanks so much for all this great info. How do you do a Yoga squat? Take a look at this article Irma, it has a video of the Yoga Squat. All the best. Wow! Watching you effortlessly perform some of the more challenging movements, like pistol or deck squats, is so inspiring, Greg, and testament to the fact that bona fide strength and fitness does not need to be burdened by useless muscle bulk. Are there videos of these exercises? Yes Kerri, just click the small video boxes next to each exercise. I have been teaching kettlebell for a few years now and I still picked up some new moves from here. Very much appreciated. This is honestly the best website I have seen for KB exercises! Thanks for the awesome info! I’m not sure which exercise you mean Ayelet? Do you just mean a Push Up with one or both hands on a kettlebell? Is there any particular reason why you want to perform this exercise? I think they are just referring to the “press up” that is in several of your workouts. I discovered by watching your video that it’s real just a push up exercise. It was confusing to me. In the US, we would call it a push up. That is really an amazing collection!!! Thank you. Legendary post! Thanks for taking such a good care of us! Thanks for these videos! 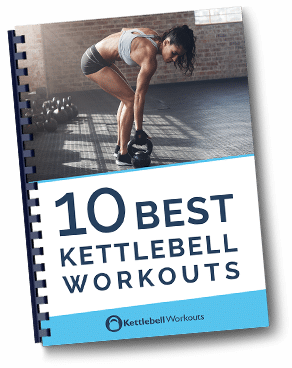 I am pretty new to kettlebells and these will be very helpful. I also love the workout generator.